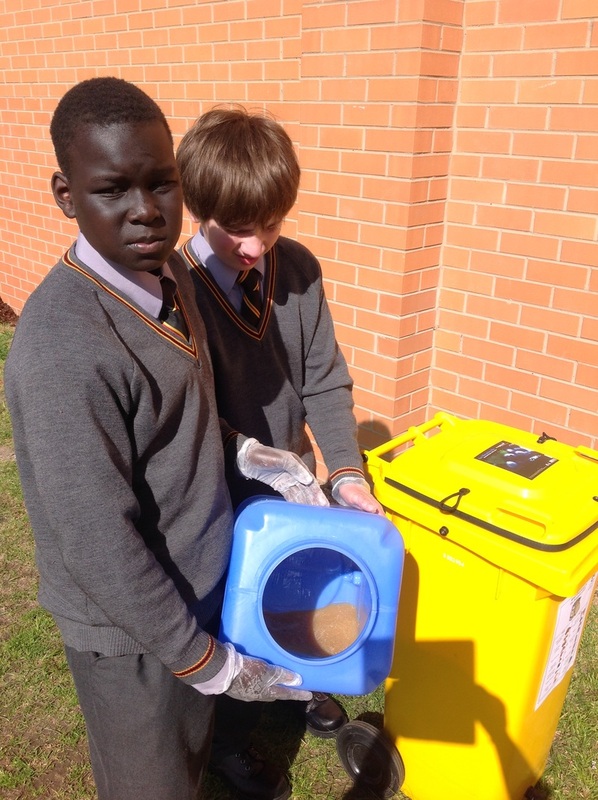 Under the guidance of the homeroom teacher Mrs Mary Malone, students of 7I have been industrious with their composting initiatives during term three, establishing a worm farm and implementing the bokashi compost system. As part of the Enviroweek activities, they also initiated a controlled experiment to compare the growth of strawberry plants using; Bokashi compost waste, worm casting waste and water with no fertiliser. After the success of a composting trial conducted by year 7I last year, composting has now been introduced at years 7 and 9. 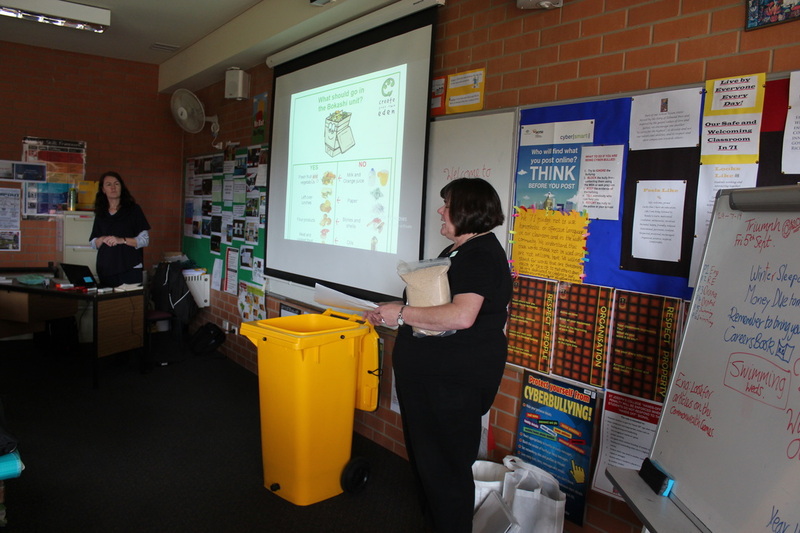 Anne Brackley from Springdale Community Centre has been working with Year 7I and our year 9 Planet Green students who will be responsible for managing the bokashi waste systems. Once collected, food scraps are distributed either to the the worm farms or Bokashi bins for conversion to fertiliser for use at the veggie patch.